So have you “liked” us yet? You’ll never miss fresh inventory, never miss price drops, and never miss “New Things.” Which let’s be honest, is totally worth sticking your thumb up for. 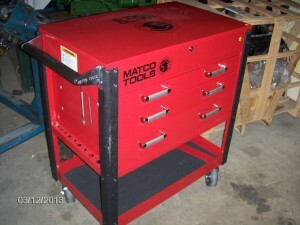 Check out this Thursday’s new goods: Craftsman and MATCO tool boxes and sets. They retail between $900-$5,000 but we’re asking for much less. Like always. Check out the Surplus Sale today!